Thanks to the addition of the dungeon finder, locating groups to run instances in World of Warcraft is a breeze. Of course Blizzard knew how much trouble many players had finding groups, so they wanted to open up the instances to all WoW players, not just those who had four or five friends with similar schedules to theirs. But did Blizzard know that by creating the dungeon finder, they would also create a new way for WoW players to power level their toons? We may never know the answer to that question, but we do know that dungeon leveling is now the fastest way to level your WoW characters. When you’re trying to figure out if dungeon leveling is definitely faster than traditional solo questing and grinding, it really is a simple matter of numbers. 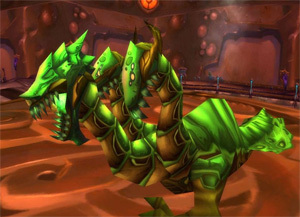 There are far more creatures packed into the tight spaces that are the lower level instances in World of Warcraft. More creatures means the opportunity to make more kills per second, and this is made possible by being in a group of five players instead of playing by yourself. While dungeon leveling, you’re killing four or five creatures in 30 seconds or so instead of just one or two creatures every 30 seconds. All that extra killing means you’re packing that much more experience into a shorter amount of time. Dungeon leveling will also help you earn more gold faster so you’re not completely broke by the time you do reach level 85. Cramming more kills in a shorter amount of time means more gold will drop and more vendor trash will drop. Just remember to always loot everything you’re entitled to loot as far as trash goes because that’s just more gold in your pocket. Dungeon leveling will also give you access to much better gear through three different methods. First, the gear which drops off of the bosses inside the dungeons is usually best in slot for your current level. This means that dungeon leveling will keep your character much better geared all the way to level 85. A second way that leveling through the dungeon finder will help you get better gear is through the little extra bag of goodies you get at the end of the instance. Of course the item you receive in the bag won’t always be beneficial, but sometimes it will be just the piece you need to upgrade your gear. Dungeon leveling also allows you to kill interesting bosses that you could never take out on your own. Some of these bosses will require a special strategy, and you’ll certainly enjoy the break in the monotony involved with leveling a character. After all, the reason so many WoW players are always looking for faster ways to reach level 85 is because of the anticipation of playing the end game content, and some of these early fights do have echoes of later fights that make them so much more interesting than the solo content.